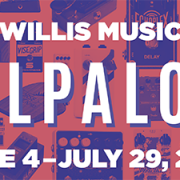 https://willismusic.com/wp-content/uploads/2018/05/top-banner-1.png 225 1080 Laura Barrowman https://willismusic.com/wp-content/uploads/2018/05/Willis-Oval-and-Piano-Logo-2.png Laura Barrowman2018-05-09 11:49:502018-07-23 11:26:49Pedalpalooza! What Can You Expect At The In-Door Yard Sale? https://willismusic.com/wp-content/uploads/2017/03/766524724456.png 2477 2518 Laura Barrowman https://willismusic.com/wp-content/uploads/2018/05/Willis-Oval-and-Piano-Logo-2.png Laura Barrowman2018-03-20 15:25:492018-03-21 09:51:39What Can You Expect At The In-Door Yard Sale? 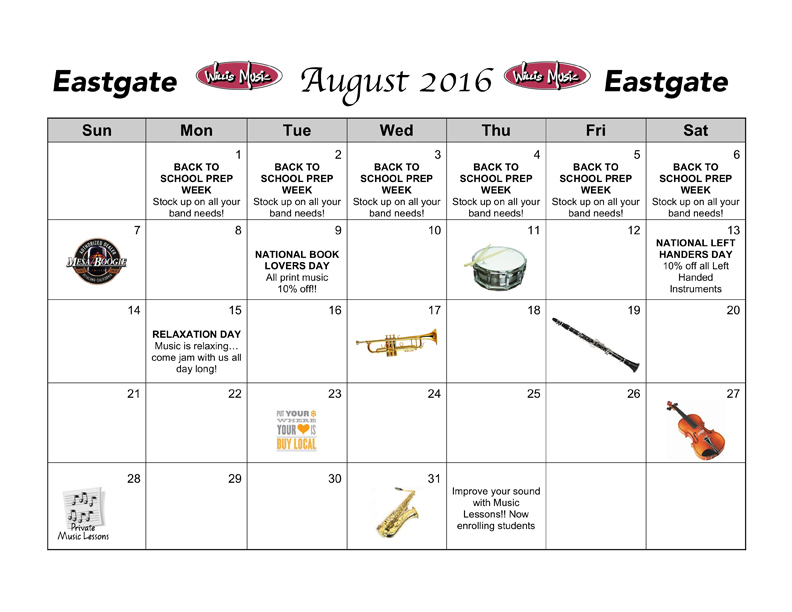 It is back to school time and that means you need supplies for your band instrument! We are stocked up ready for anything you need. 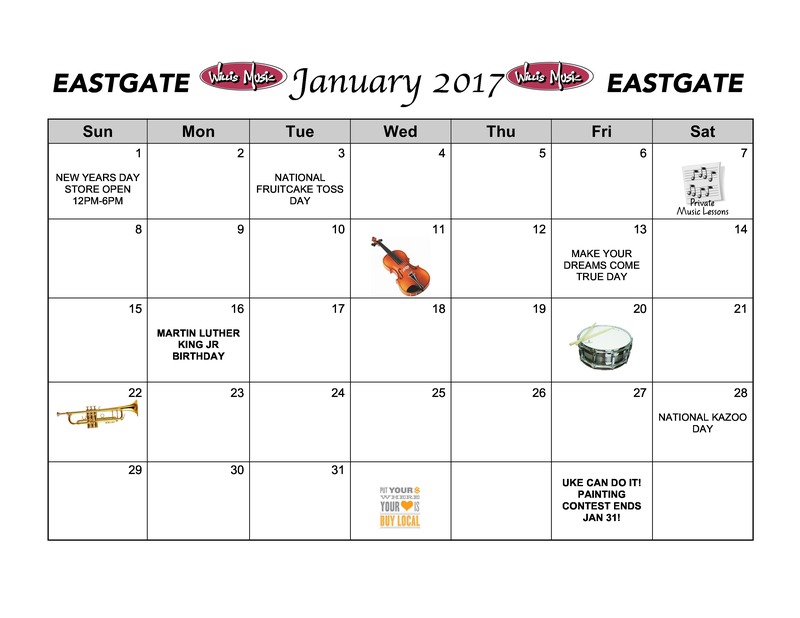 We have our worship musicians night and some other special events for you as well. 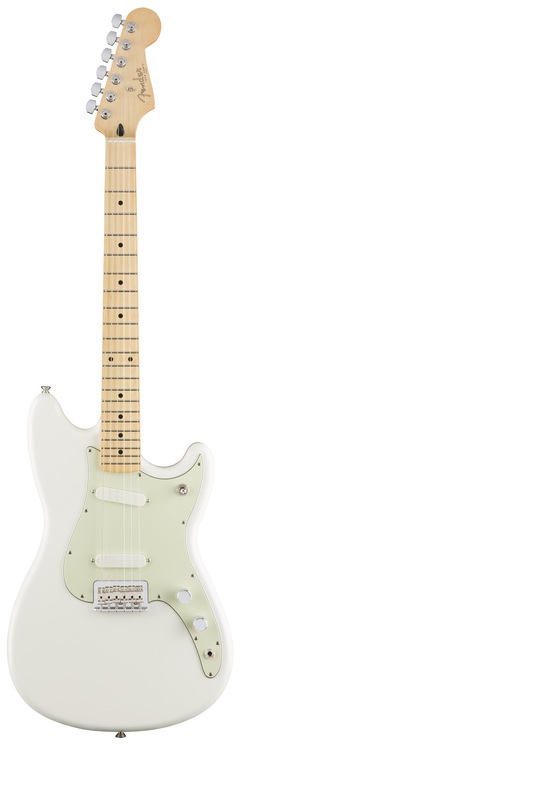 Coming very soon from Willis/Moeller Music is the Fender Brad Paisley Signature Tele. Introduced at the Summer NAMM show this guitar should be arriving any day. We had advanced notice of this launch and are one of the first in line. Brad is one of the last of the guitar heroes. He lives and breathes guitars and has one of the best tones on the planet. I got to play it at the Fender Key Dealer Meeting in Scottsdale and I want one myself. Plays great, looks great, sounds great, win, win ,win. Did I mention it’s also affordable? 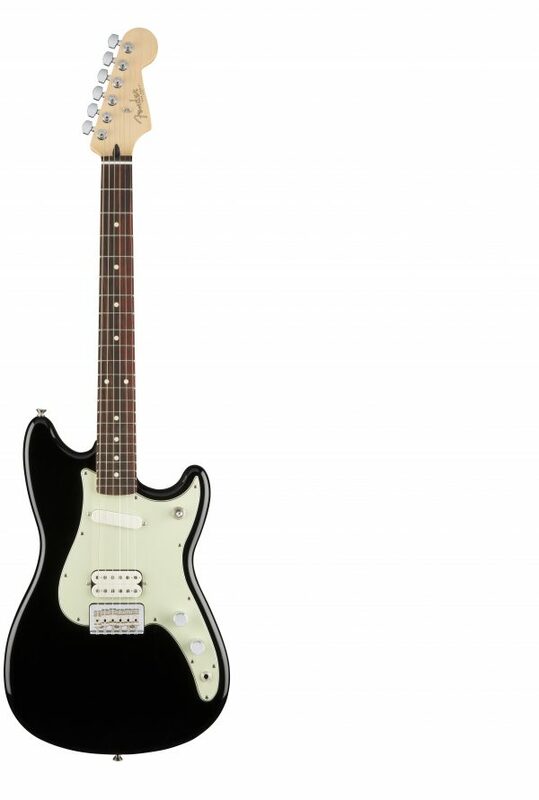 Unlike most signature guitars, Brad wanted this one to be accessible to his fans, not one locked away in a glass case. Stop in your nearest Willis or Moeller store and check one out! 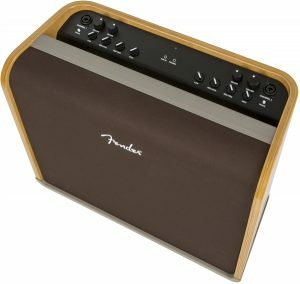 Deals on Amps That Will Blow Your Mind.. Not Your Amp! https://willismusic.com/wp-content/uploads/2018/05/Willis-Oval-and-Piano-Logo-2.png 0 0 Laura Barrowman https://willismusic.com/wp-content/uploads/2018/05/Willis-Oval-and-Piano-Logo-2.png Laura Barrowman2017-05-11 15:12:292017-05-16 13:53:59Deals on Amps That Will Blow Your Mind.. Not Your Amp! 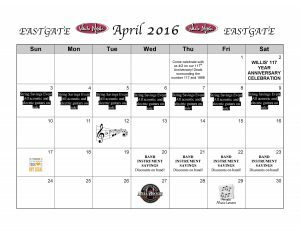 April is a busy month here at Eastgate. 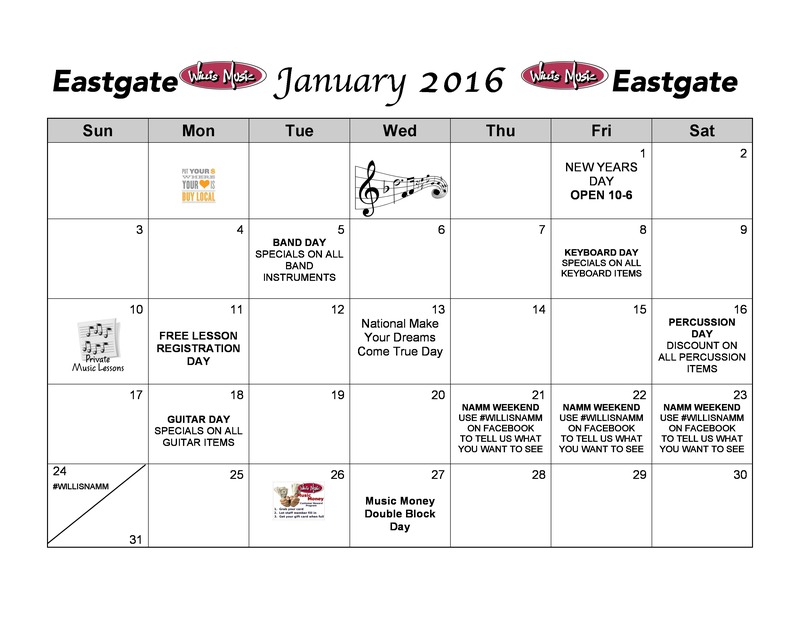 We are celebrating Yamaha Allegro instruments all month! 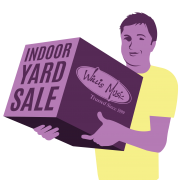 Our Indoor Yard Sale is the 20-23 and that is always a blast! 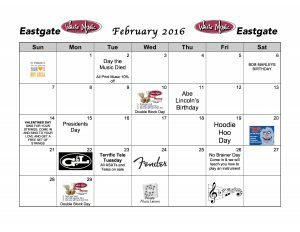 What’s going on in March at Eastgate? 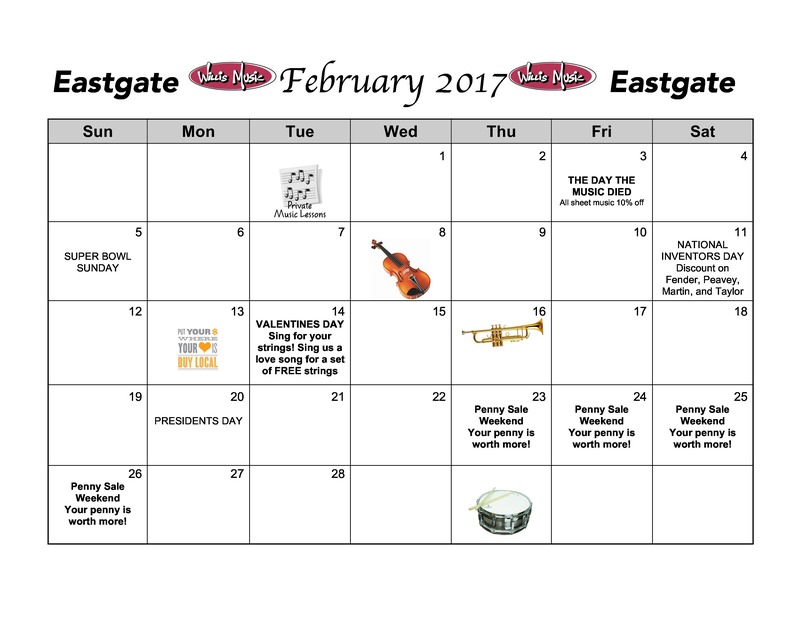 Check out the calendar below to find out. 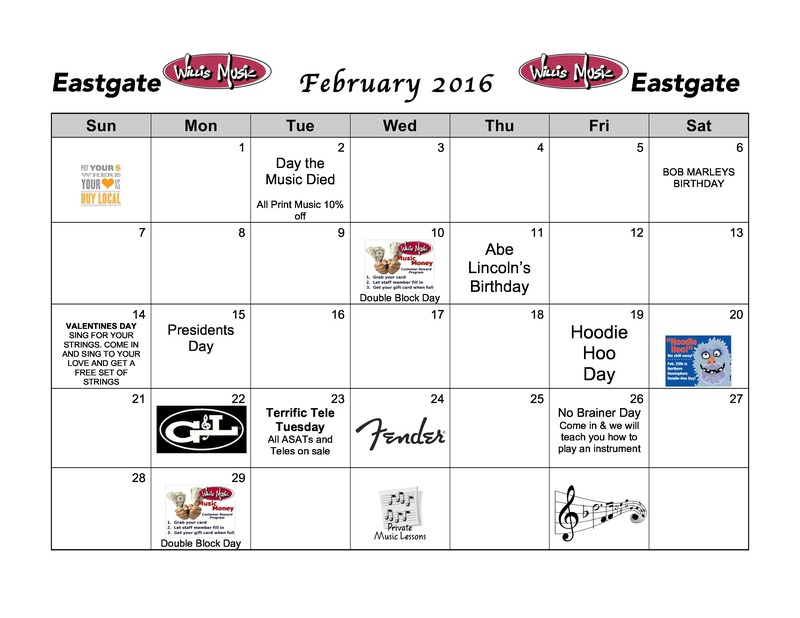 We have lots of sales going on as well as Music in the Schools Month! Did you know that all year long, Willis Music will donate 5% back to your school to help keep music in the school? Mark your calendar for March 9 at 7pm to be the first to see the the New Products from Taylor Guitars! Are you a Taylor Guitar fan like us? You will not want to miss this event. We will have all the new Taylor Guitars from the 2017 NAMM show at Willis Music Florence for you to touch and play and take home for your own! Taylor just released a series that you have to play to believe it! 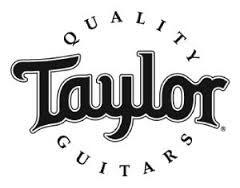 We will also have a factory rep on hands to answer all your questions and let you know why Taylor does what they do! New and in stock at Moeller and Willis Music is the Boss GT-1 Guitar Effects Processor. 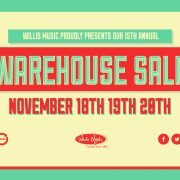 Our long anticipated warehouse sale is coming up this month! This is the 15th annual sale and it will be bigger and better than ever! We have new surprises in store and more awesome deals that you don’t want to miss! New this year are pianos. 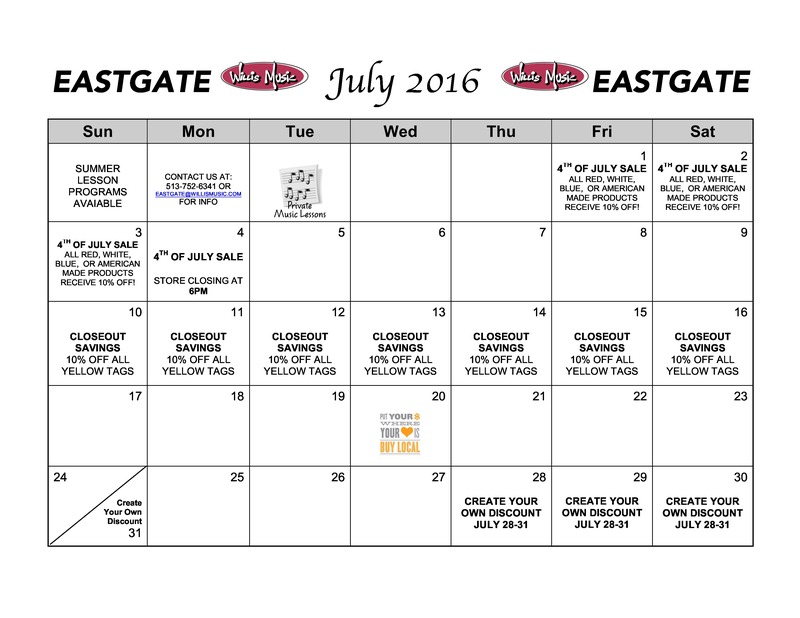 Check out our used pianos and pre-shop the warehouse sale. 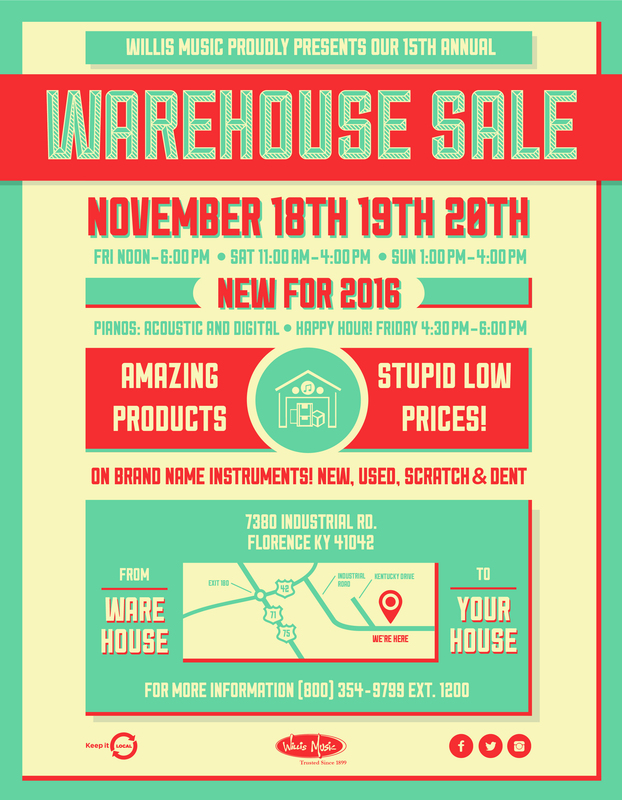 Here is a look at the 2015 warehouse sale! It is always buzzing with excitement! Brocephus is a modern country cover band based out of Cincinnati Ohio. They focus on the current hits from today while mixing in a touch of the classics. Brocephus provides a high energy performance and pride themselves on treating every event as if it were a sold out arena. The band is comprised of veteran musicians from around the area who have joined together from some of the most well known acts around. 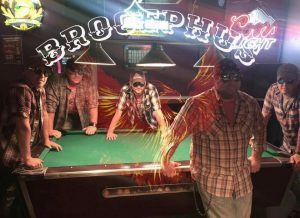 Brocephus is performing around the midwest from festivals and fairs to private events and weddings. Chris Wilson – Vocals. Chris brings his vocal talents from Memphis where he was one of the premier Elvis impersonators. His showmanship and command of not only his voice but the stage and crowd is an asset to Brocephus. 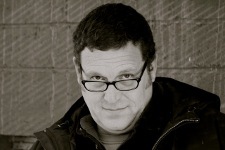 Chip Stewart – Vocals/Bass. Chip is not only the mastermind behind Brocephus but he is the work horse as well. He comes from several highly successful cover bands (My sister sarah, Marsha Brady, The Monday’s) from the Cincinnati area. His vocal and bass ability is only matched by his drive for success and his knowledge of production and stage management. Chip helps round out the harmony and adds excitement to the live show. 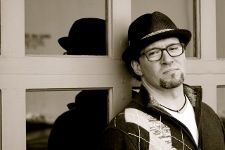 Billy Carri – Vocals/Guitar. Billy has literally done it all. From being signed to a label in the 90’s, touring the country as a singer/songwriter to being a member of the Armed Forces Entertainment Network playing over seas for the troops to running his own recording studio and producing local bands. He brings his vocal ability and guitar work along with his amazing stage presence to Brocephus allowing for spot on harmony and a visual spectacle. Sunil Munger – Guitar. Sunil is a graduate of The Atlanta Institute of Music where he studied guitar. He is one of the Premier guitar instructors in the Cincinnati area and brings a vast knowledge of theory and structure to Brocephus. He also comes from the highly successful My Sister Sarah and Lounge Lizards cover bands. Having Sunil allows Brocephus to have a guitar flare thru songs that is 2nd to none. 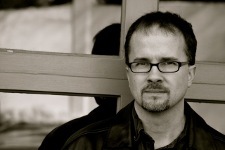 Eric Mayleben – Drums. Eric is the foundation on which all things Brocephus is built. Eric brings his vast experience from a touring rock musician who has been signed, shot videos appearing on Mtv to being a drum instructor here in the area. His showmanship and timing never clash, in fact they’re in perfect sync with each other providing a solid groove for the band and a fun show for the crowd. Now that you have met the band, go check them out on Facebook, Twitter, Instagram, anywhere you can find them online! 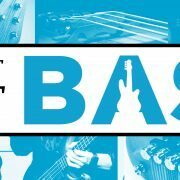 Come in to Willis at Moeller Music West Chester and show an associate that you “Liked” their music page on Facebook and receive discounts! Brocephus keeps their fans updated with the latest news, music, merchandise, promotions and whatever through various social media accounts. Some accounts are exclusive to certain media. 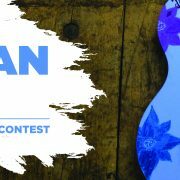 “Uke” Can Do It Facebook Photo Contest! https://willismusic.com/wp-content/uploads/2016/10/Facebook2.jpg 1313 3546 Laura Barrowman https://willismusic.com/wp-content/uploads/2018/05/Willis-Oval-and-Piano-Logo-2.png Laura Barrowman2016-10-28 10:01:372017-02-13 07:44:26"Uke" Can Do It Facebook Photo Contest! New Fender Offset line has arrived at a Willis! 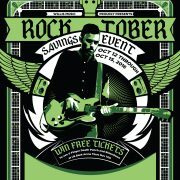 We have exciting news for our guitar customers! 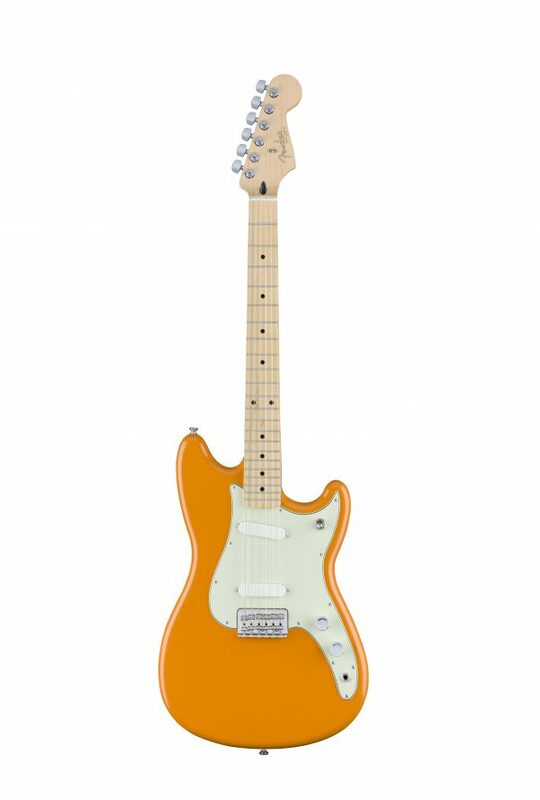 The new Fender Offsets have just arrived at a Willis store near you! We are excited to share this awesome news with you. Come on into a location near you and shred for a couple of minutes on one of these beauties! You can check out some of the videos and pictures of all for a preview. Like what you see? 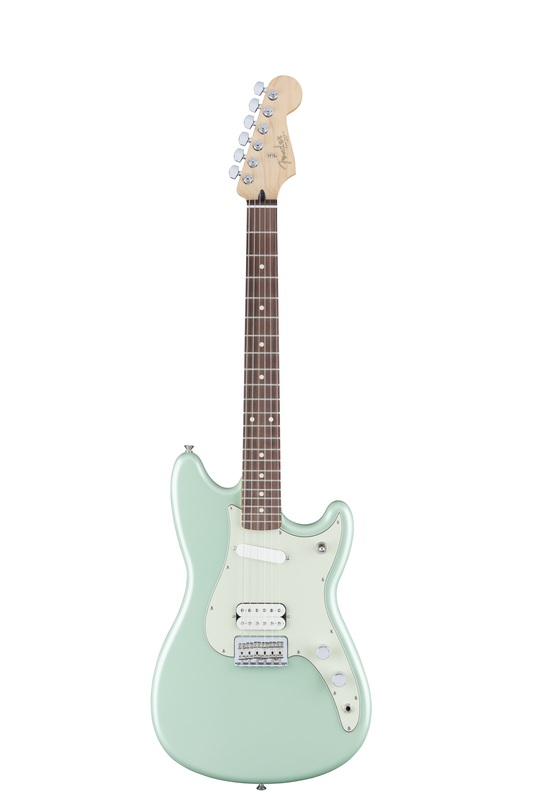 Go ahead and add a Fender Offset to your collection we know you want to! Left-of-center expression for the next generation of players. Introducing the new Fender Offset series. Five new models based on classic designs but re-envisioned for today. You’re seeing them played everywhere from South by Southwest to Panic! At the Disco, now you can own one. 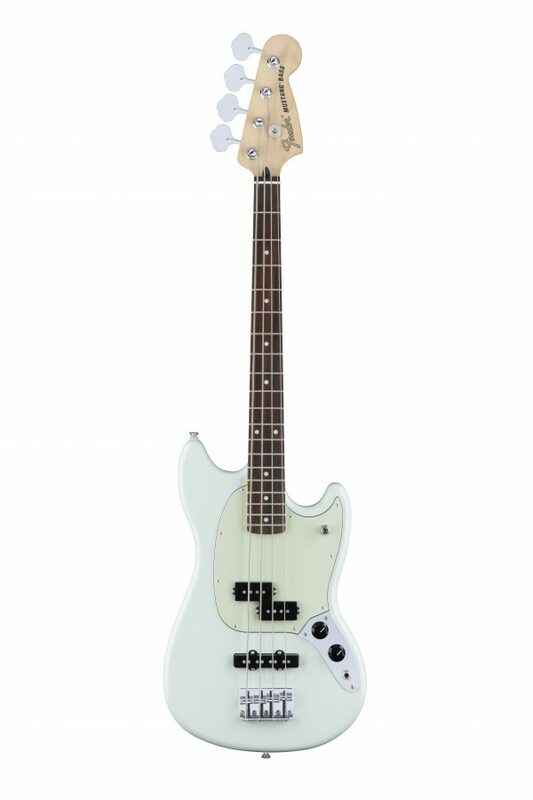 Duo-Sonic, Duo-Sonic HS, Mustang, Mustang 90 and Mustang Bass PJ. 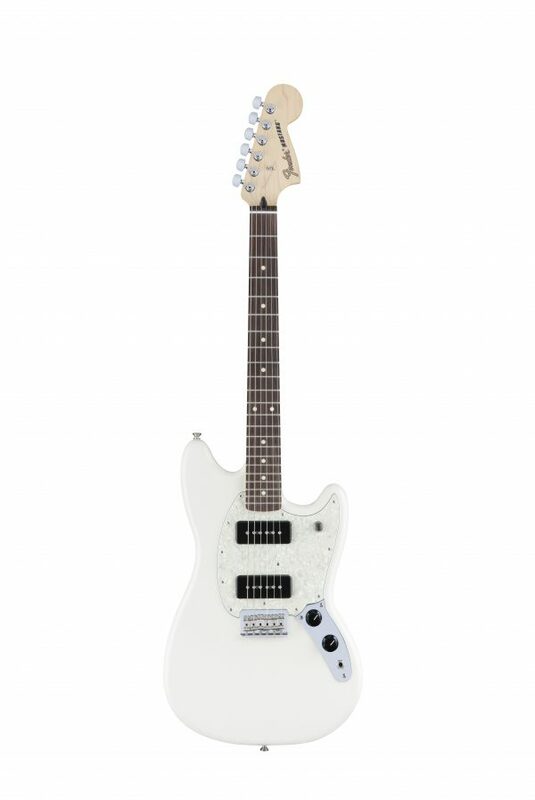 Check out the video tour of the Fender Offset Mustang 90 model below and then stop in to your nearest Willis Music to play and own your very own! 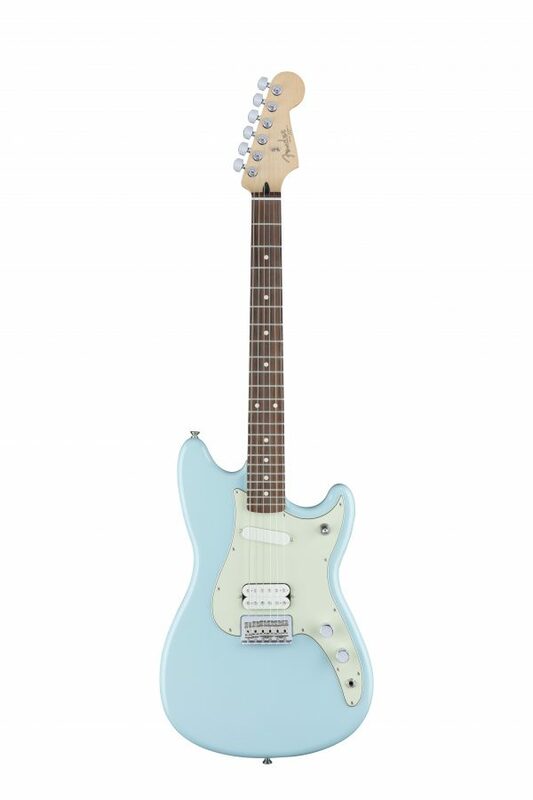 Check out the video tour of the Fender Offset Duo sonic HS model below and then stop in to your nearest Willis Music to play and own your very own! 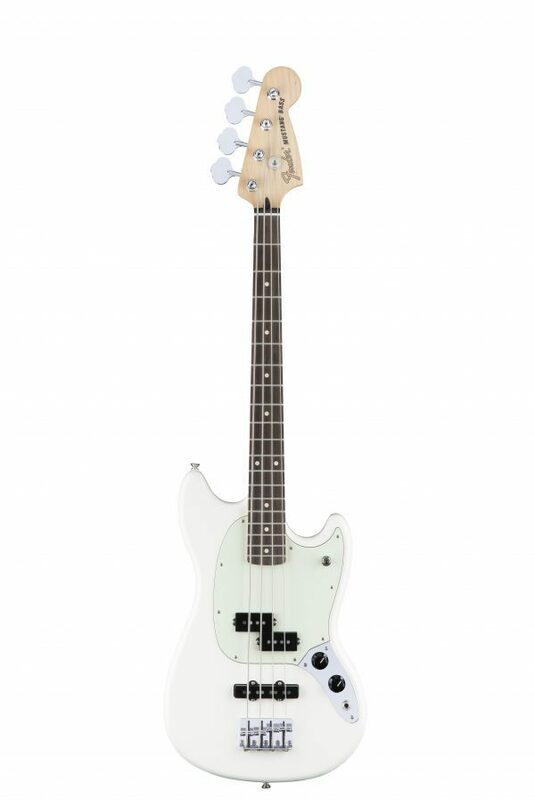 Check out the video tour of the Fender Offset Mustang Bass PJ model below and then stop in to your nearest Willis Music to play and own your very own! Can’t make it into the store or we don’t have one close to you? No problem take a look at our online store and purchase the one you have had your eye on today! 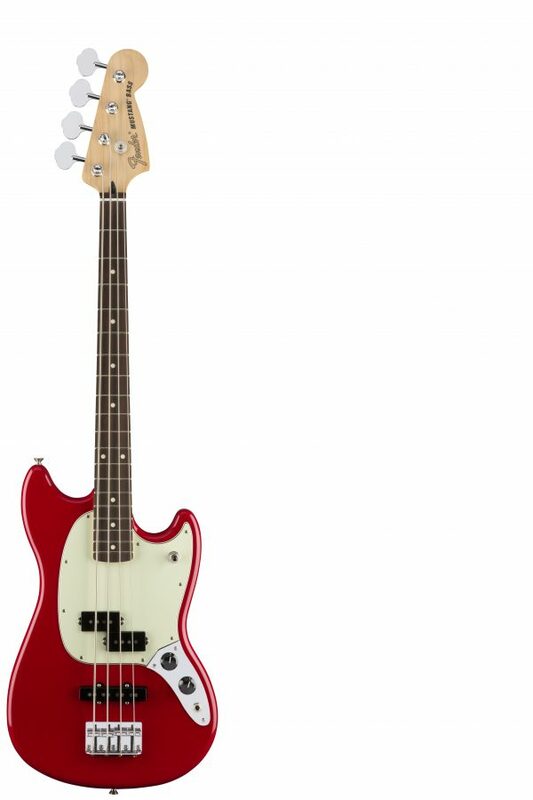 Click here to see our entire Fender Offset stock. https://willismusic.com/wp-content/uploads/2016/09/offset.jpg 1487 2400 Michael Elam https://willismusic.com/wp-content/uploads/2018/05/Willis-Oval-and-Piano-Logo-2.png Michael Elam2016-09-28 12:10:592016-10-06 09:31:16New Fender Offset line has arrived at a Willis! Starting at the beginning of the year, we have had the opportunity to work with the wonderful people at Melodic Connections. Melodic Connections is a music therapy program, and they have been having a class in our Kenwood store every week since March. The class is set up as a “Career Module”, helping the students learn what it takes to work in the music business. We have worked on many things from cleaning band instruments, selling pianos, making change, and more. 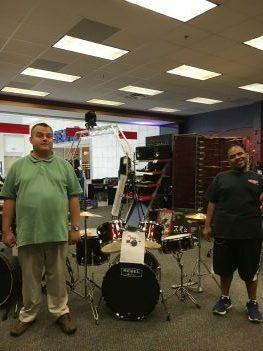 Over the past few weeks we have been working on something that is really fun- assembling a drum set to put on display at the store! We started out by learning how to put the set together, everything from assembling drum heads to attaching the cymbals. We worked on using teamwork to give each person a specific job, so that the whole group could work together! 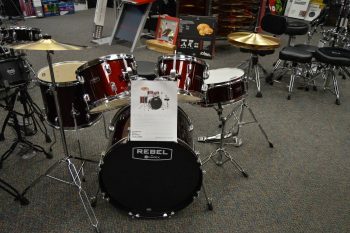 Next, we talked about what it takes to sell the drum set! We all made a sample flyer and price tag and choose from them all to see which one we thought was the best. Our Kenwood location does not stock drum sets, so that means it was time for a road trip! 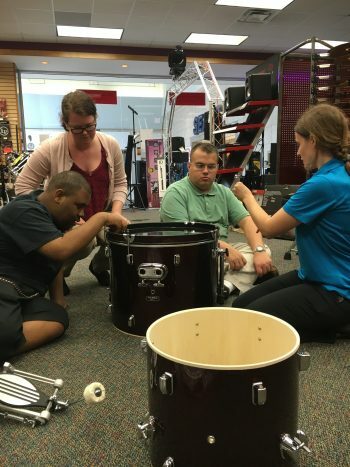 Melodic Connections arrived at our Eastgate location and got straight to work- loading the drum set into the store, deciding where it should go, putting it together, and placing the price tag. It was a great day! Again, we love working with Melodic Connections- they remind us every week that we work in the best industry around! You can check out this cool timelapse video of the students from Melodic Connections from that day! 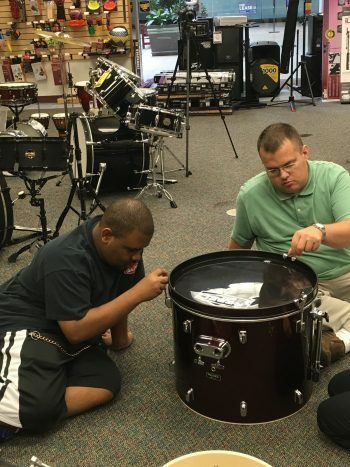 If you would like to learn more about Melodic Connections and what they do for the community you can visit their website by clicking here! Unmatched value in a Steinway-designed piano. The Steinway-designed Boston piano is long unrivaled in its class and unmatched in value. Employing the unique patents and expertise that have made the Steinway name synonymous with musical excellence, Boston pianos offer the pedigree of Steinway engineering with the accessibility of a mid-priced piano. 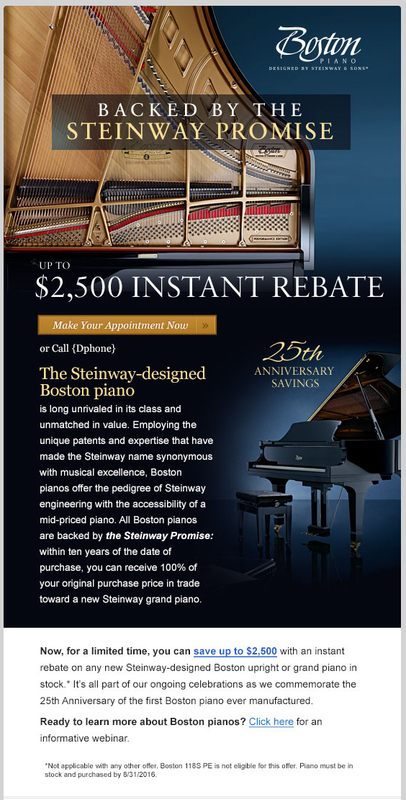 Now, for a limited time, you can save up to $2,500 with an instant rebate on any new Steinway-designed Boston upright or grand piano in stock. * It’s all part of our ongoing celebrations as we commemorate the 25th Anniversary of the first Boston piano ever manufactured. *Not applicable with any other offer. Boston 118S PE is not eligible for this offer. Piano must be in stock and purchased by 8/31/2016. 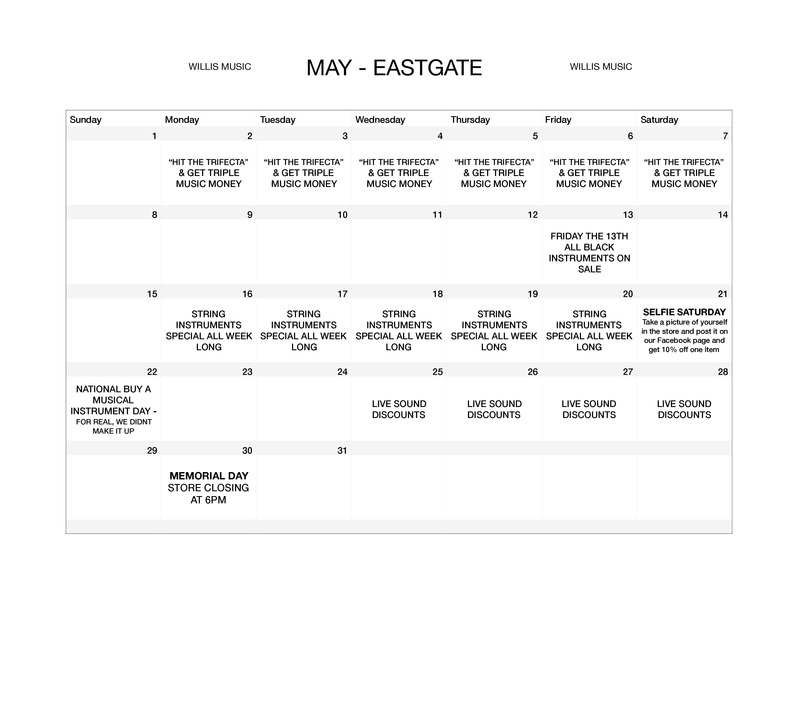 https://willismusic.com/wp-content/uploads/2018/05/Willis-Oval-and-Piano-Logo-2.png 0 0 Bill Phipps https://willismusic.com/wp-content/uploads/2018/05/Willis-Oval-and-Piano-Logo-2.png Bill Phipps2016-08-09 08:24:382017-05-10 14:45:20Unmatched value in a Steinway-designed piano. The Fun Size is usually a power trio, but sometimes play as a duo or quartet. They have professional attitudes and professional gear, and play extremely well under low-volume conditions, and do their part to make your program or event a success! They all sing, they all engage a crowd, and they all put top priority on crowd and staff having a great time at a Fun Size show. They have a broad repertoire, so adapt easily to any environment. The Fun Size keeps their fans updated with the latest news, music, merchandise, promotions and whatever through various social media accounts. Some accounts are exclusive to certain media. To become the band of the month, click here! What to do in this heat? 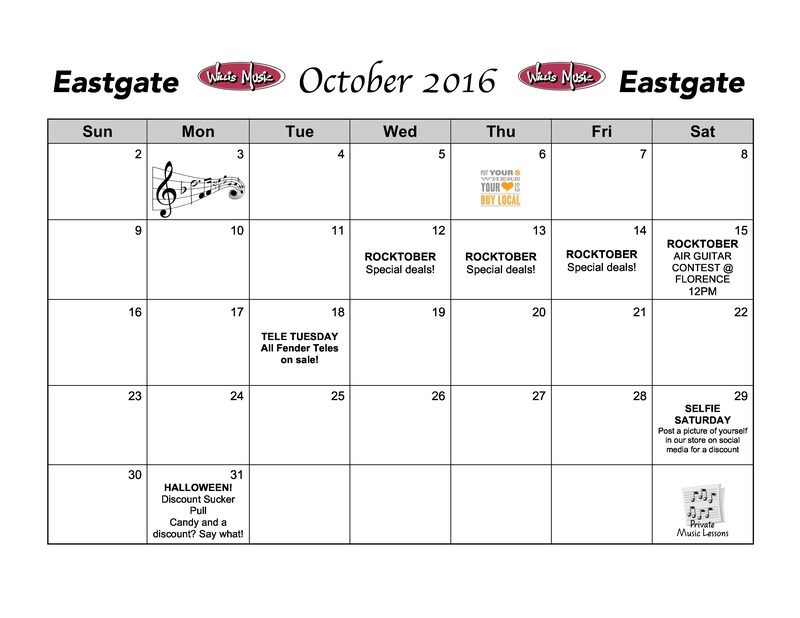 Check out our events at Willis Music Eastgate! We will help cool you down with a rockin’ good time! 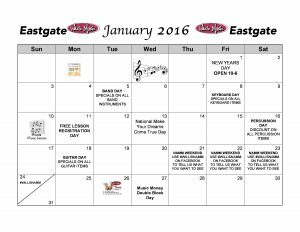 Need something to do?? 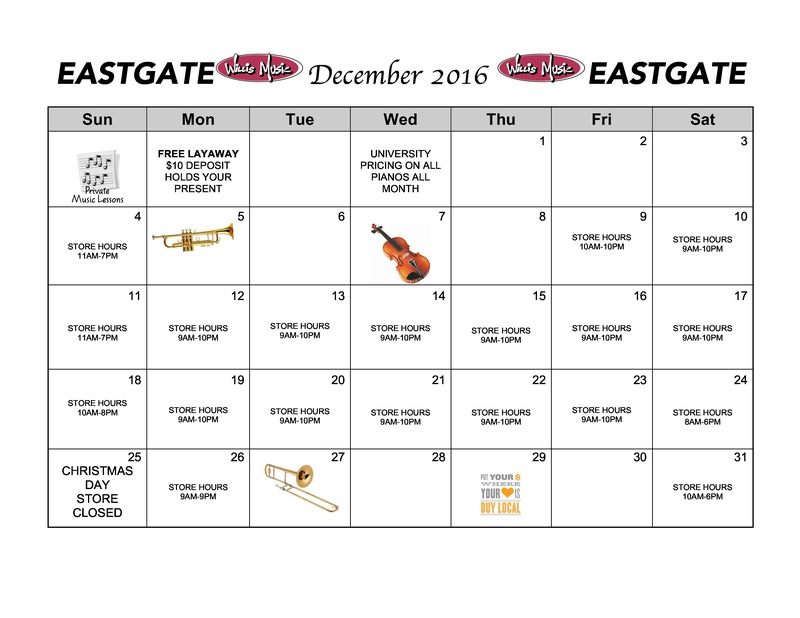 Willis Music Eastgate has you covered! 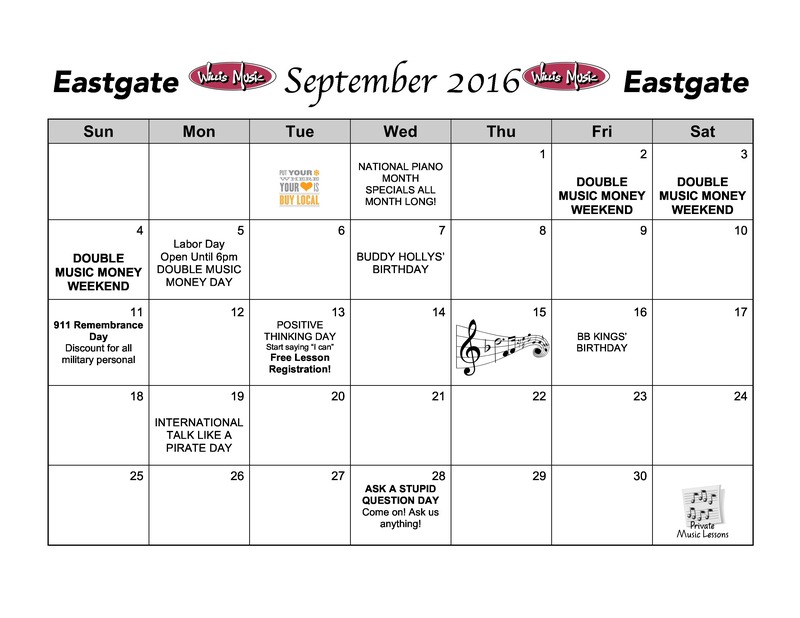 Check out what is happening June 2016. 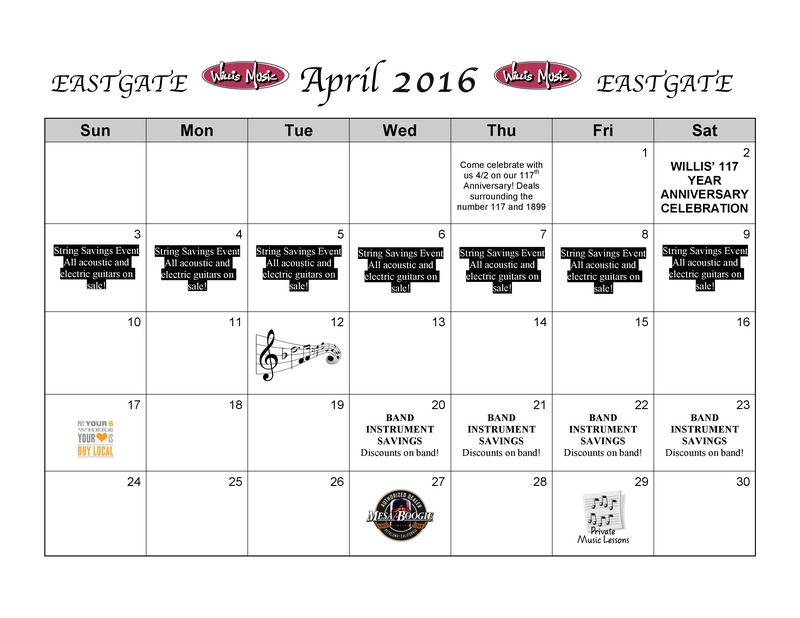 Come celebrate International Drum Month May 2016 with Willis. 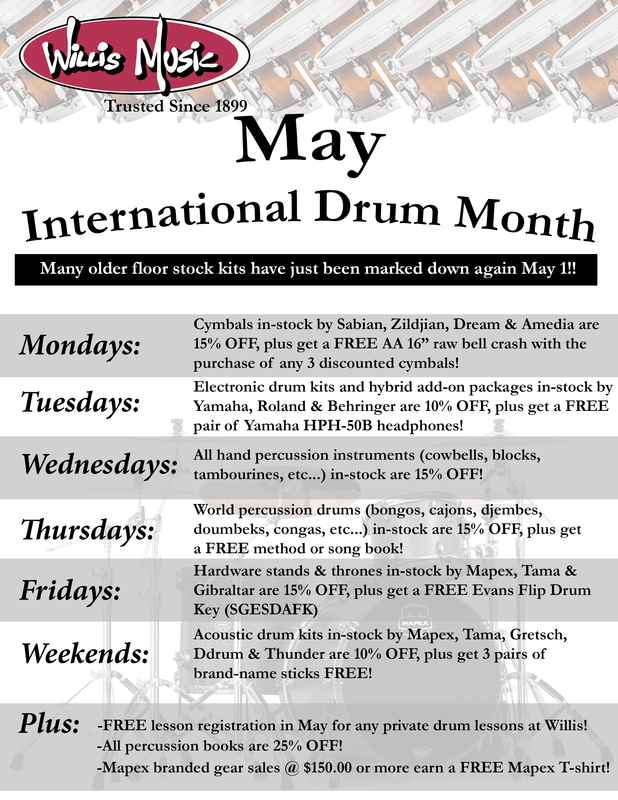 We are embracing the month with all percussion specials that are amazing! Specials are available in store only! Click here to visit the closest store. Dallas Moore our April Cincinnati Band Of The Month, is an American Outlaw/Honky-Tonk artist and award winning songwriter of the number one hits”Texas Tornado” “Crazy Again” and “Blessed Be The Bad Ones.” Touring relentlessly with The Dallas Moore Band as well as regular solo acoustic appearances for the Last Honky Tonk Music Series and Frank Brown International Songwriters Festival in Perdido Key, Florida, Moore consistently performs over 300 shows a year coast to coast in the USA. The Dark Horse Rider album featuring 10 new Dallas Moore originals was released on Sol Records in January of 2015. The Dallas Moore Band is currently nominated for Outlaw Group of the Year at the 2016 Ameripolitan Music Awards in Austin,Texas and for Country Artist of the Year and Singer/Songwriter of the year at the 2016 CEA Awards in Cincinnati, Ohio. Dallas Moore’s music is featured regularly on Sirius/XM Satellite Radio’s Outlaw Country Channel 60, CMT.com, Yallwire.com and terrestrial AM/FM radio in America, Canada, Europe, Australia and Brazil. You’ll also find Moore profiled in the book “Outlaws Still At Large!” by author Neil Alexander Hamilton along with Waylon Jennings, Willie Nelson, David Allan Coe, Blackberry Smoke, Wayne Mills & more. The Dallas Moore Band keeps their fans updated with the latest news, music, merchandise, promotions and whatever through various social media accounts. Some accounts are exclusive to certain media. Want to be the next Band of the Month? Check out how HERE! Derby Week Event where you can win 3xs your Music Money rewards, special deals on product throughout the store, and more! Have an acoustic gig at a coffee house this weekend? Having people over and playing on your deck? Playing small venue acoustic gigs has never been easier. We have several new acoustic gig tools to add to your box to make you sound even better. The ultimate in pure, natural acoustic tone. The amp of choice for Tommy Emanuel and Eric Johnson. 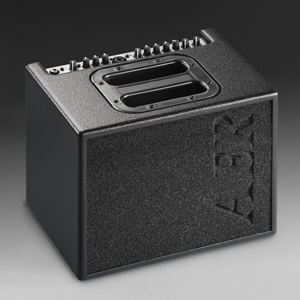 The AER Compact 60/3 has proven that there is an all-round, small, powerful and yet simple to use complete solution for stage, studio and home use that works up to the highest demands and standards of acoustic players. 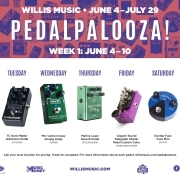 Stop in you local Willis or Moeller Music today and check out these great tools and many others! Are you ready for the two most exciting minutes in sports? 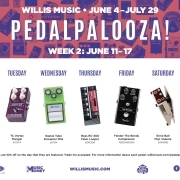 Willis Music wants to help you “Hit the Trifecta” and reward your loyalty. The week leading up to the Derby is a very exciting time, and we want to be part of that excitement. Here is what you have to do, make a purchase between May 2 and derby post time on the 7th, pick the horse you think will win the Kentucky Derby, and if you are right, we will credit your Music Money account with triple the Music Money dollars from your purchase. It really is that easy, you pick the winning horse and get some extra Music Money! 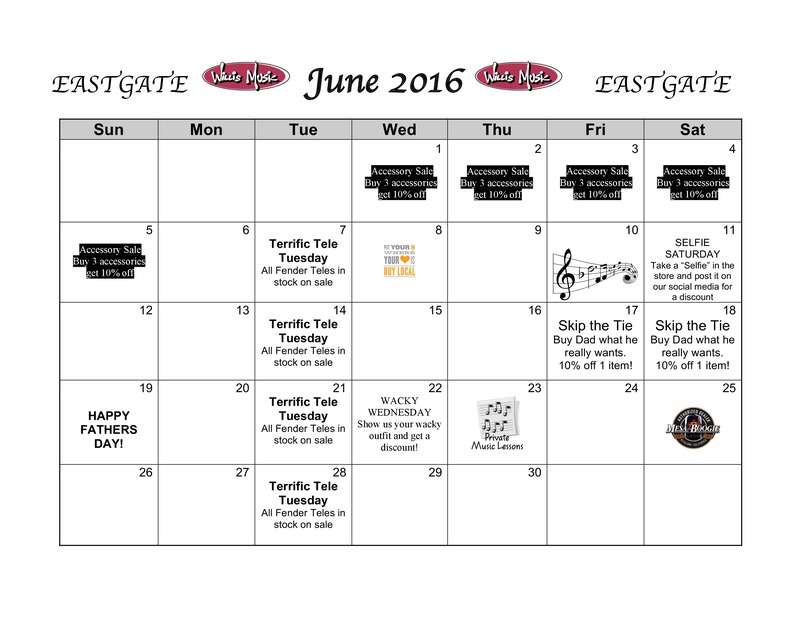 Stop by the store anytime between May 2 and 7 before post time for your chance to Hit the Trifecta! 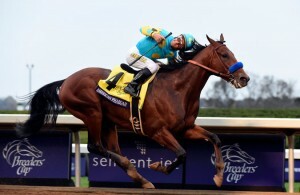 American Pharoah (foaled February 2, 2012) is an American Thoroughbred racehorse who won the American Triple Crown and the Breeders’ Cup Classic in 2015. In winning all four races, he became the first horse to win the “Grand Slam” of American horse racing. He was voted the 2015 Eclipse Award for Horse of the Year and the 2015 Eclipse Award Champion three-year-old. He was bred and owned throughout his racing career by Ahmed Zayat of Zayat Stables, trained by Bob Baffert, and ridden in most of his races by Victor Espinoza. He now stands at stud at Ashford Stud in Kentucky. 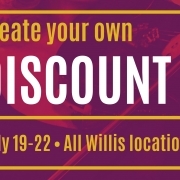 Click here to visit the closest Willis Music location to you. Got the amp you want, got the guitar you want, but it’s still missing that certain sound? Try adding some effects pedals! We stock all kinds of different brands, but our favorite is the Rotosound. They are hand wired in Great Britain and are awesome looking and sounding. Come on in and check these out! A faithful reproduction of our original 1960’s unit using the same circuit configuration as the original design. Combined with modern resistors, capacitors and original germanium diodes. 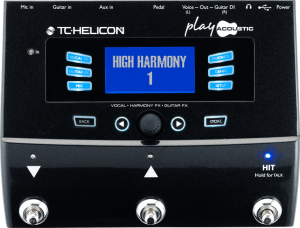 The new pedal combines yesterday’s mojo and tone flavour with the reliability and stability of today’s technology. The original prototype pedals were only ever available in limited numbers and never released for general sales. Nonetheless these pedals were found all over the place – there is even a picture of Led Zeppelin’s Jimmy Page playing one. This is the only original Rotosound fuzz pedal of the era and should not be confused with the lesser cheaper copies currently available.